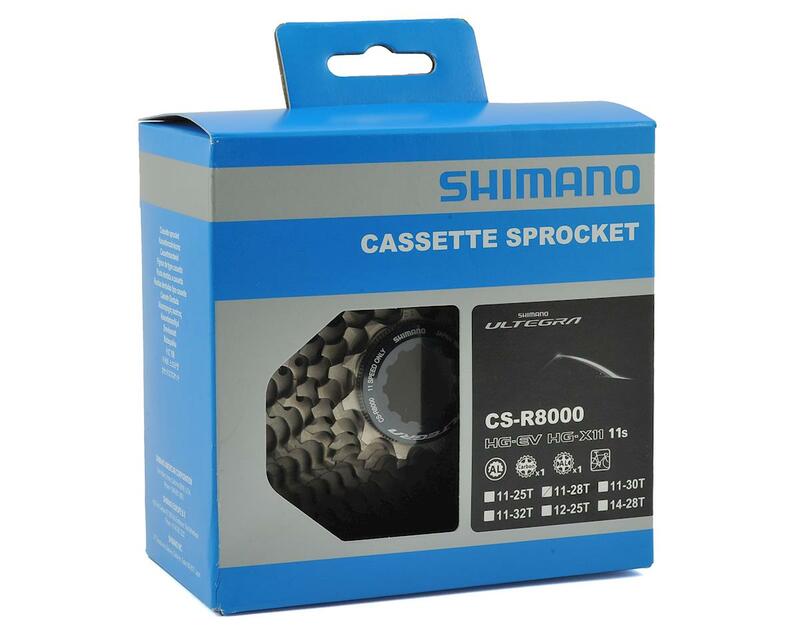 This is the Shimano Ultegra CS-8000 11-Speed Cassette. Using Hyperglide sprockets with revised tooth profiles, the CS-8000 11-speed cassette features reduced wear and lightning quick shifts. Even under the most demanding gear changes you can expect improved shifting thanks to a rigid aluminum carrier to keep the cogs in check. 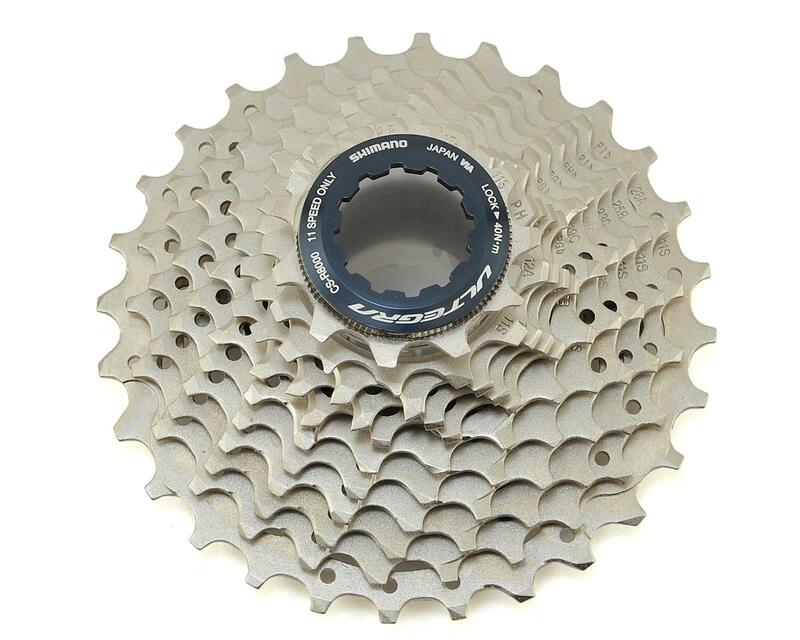 The available ratio combinations (seen below) work extremely well with standard, compact or triple cranksets.